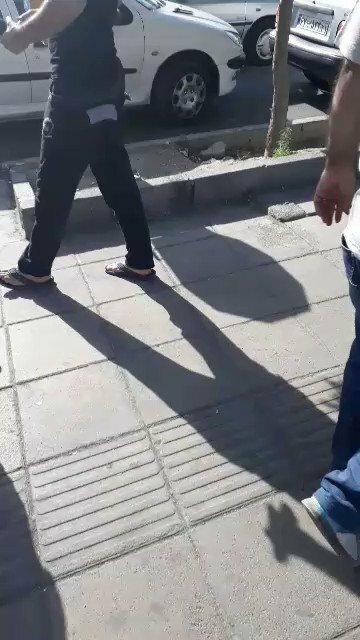 People are protesting after the municipality burned down a local small market by the name of "Golshahr" where many people were selling goods to make ends meet. 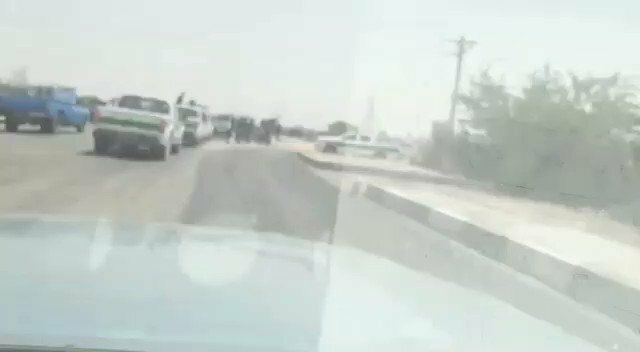 Voice says people are attacking security forces. 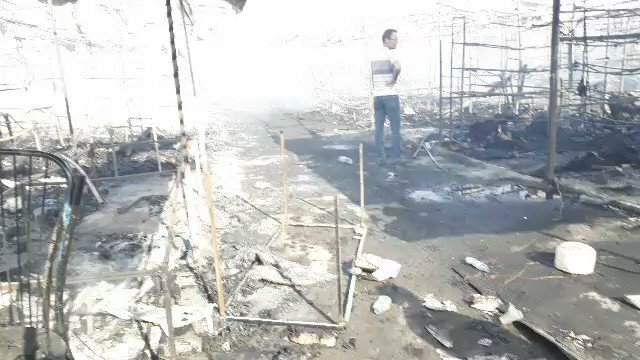 The burned "Golshahr" market where many people had small stores to sell their goods. The city municipality sought to close this area & finally resorted to burning the place down as people refused to close their shops. Voice says authorities have set a local small market ablaze and dispatched riot police to confront the demonstrating taking shape. 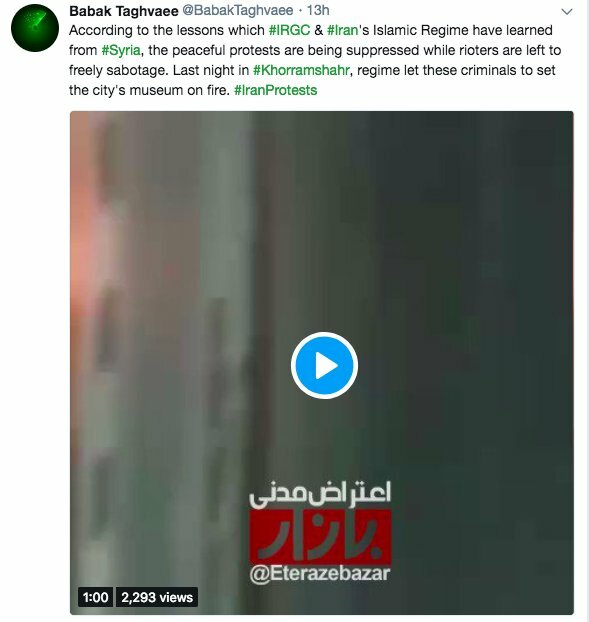 An account has been covering unrests in Iran but his tweets are weird. 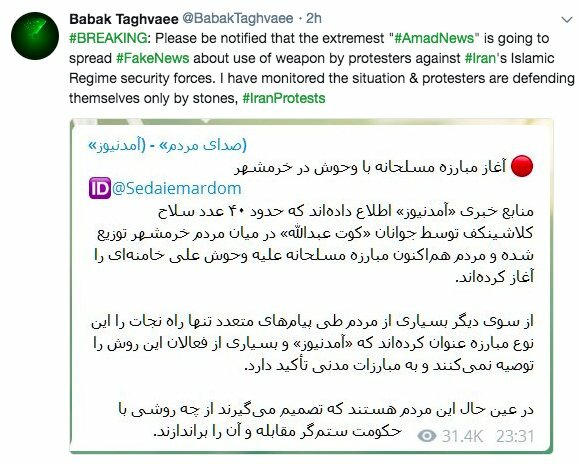 "Please be notified that the extremest AmadNews is going to spread FakeNews about use of weapon by protesters etc". "According to ... peaceful protests are being suppressed while rioters are left to freely sabotage. 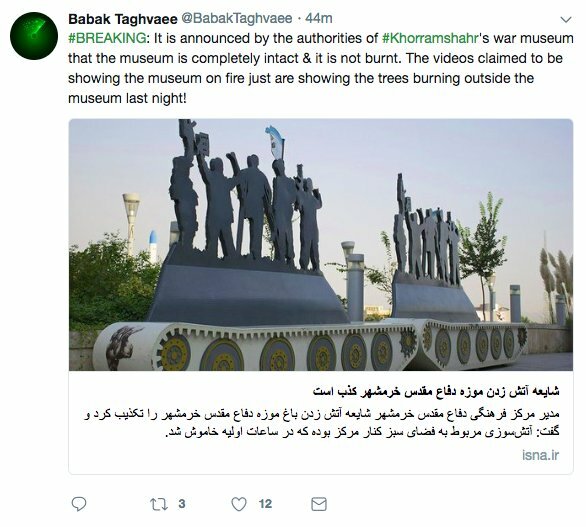 Last night in #Khorramshahr, regime let these criminals to set the city's museum on fire." 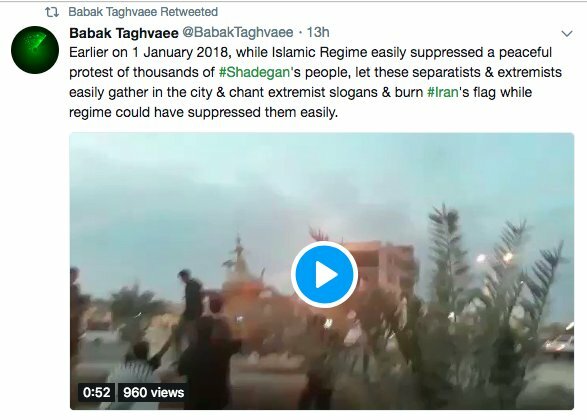 "Earlier on ... easily suppressed ... let these separatists&extremists ... chant extremist slogans&burn #Iran's flag while regime could etc"
Locals at the Electricity Dept. protesting numerous power outages throughout the day. Sources reporting security forces are on high alert today after last night's massive wave of unrest rocked the city. 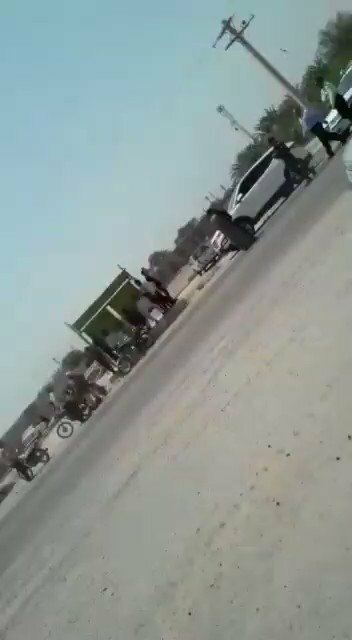 Locals are demanding drinking water. Authorities, however, are refusing to deliver. 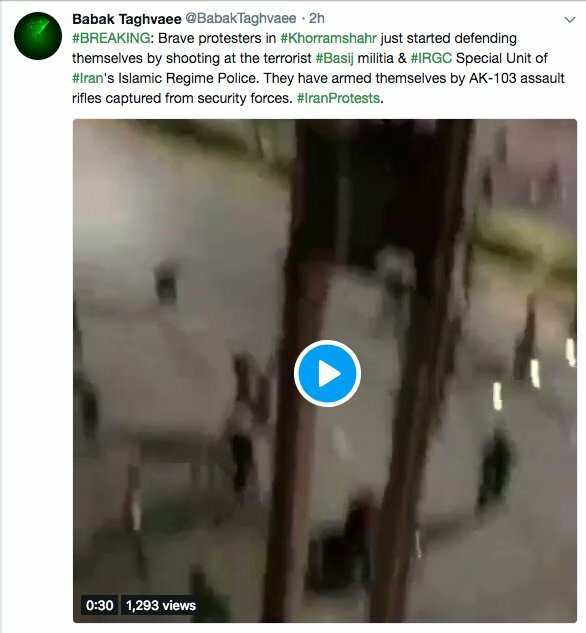 Sources reporting heave dispatching of security forces in the cities of Abadan & Khorramshahr. Authorities are especially seen in the road linking these two cities. Locals demonstrating for the second day, protesting poor water quality. "We will not succumb to humiliation"
"Our enemy is right here; they lie & say its America"
This is the people's answer to the regime's ridiculous "Death to America" chants. Protesters are booing & forcing riot police to leave the scene out of their fear of confronting the angry crowd. Interesting is how people are overcoming their fears and no longer tolerating such measures. 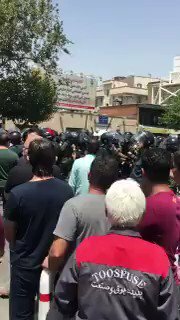 Protests against the regime of mullahs! 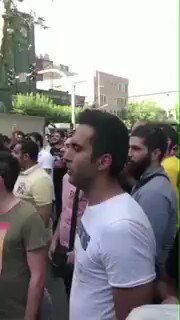 Iranians ask shopkeepers to close their shop and join the protesters. 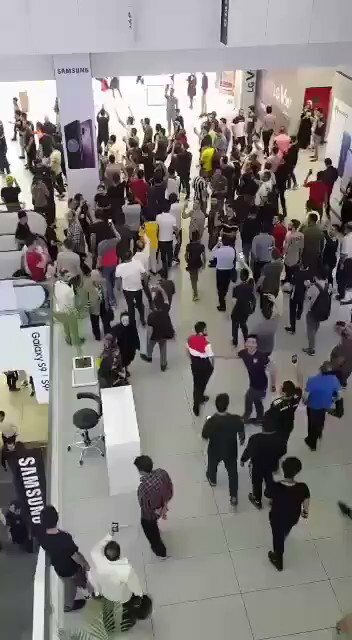 They chant" "Close your shop"
"Let the Syria go, Think of us"
" We cannot afford to buy one dollar for 100,000 Rials"
"Enough is enough! We can't tolerate this anymore!" 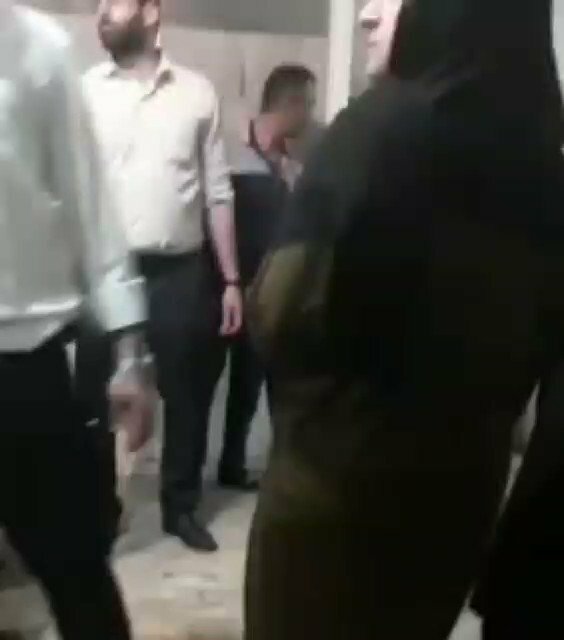 "We don't tolerate mullahs and their regime anymore."